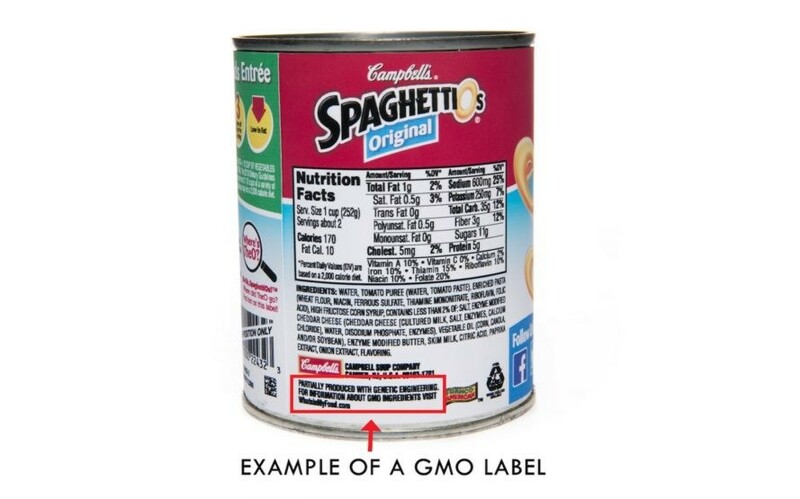 Campbell’s Soup Company, which also serves as the parent company for brands such as Pepperidge Farms, Swanson, Prego, and V8, just announced that they will now begin disclosing genetically modified ingredients on all of their product labels. The first major food company to support mandatory GMO labeling, Campbell’s is also planning on withdrawing from coalitions of food and chemical companies that are against this labeling, so the folks at Monsanto probably won’t be sharing a bowl of chicken noodle soup at Campbell’s headquarters anytime soon. While we applaud Campbell’s for taking this step toward transparency for consumers, we have an even better idea for the canned food giant: stop using any GMO ingredients, and you won’t need those special labels to begin with! Campbell’s apparently believes that GMOs are completely safe, contending that, “the science indicates that foods derived from crops grown using genetically modified seeds are not nutritionally different from other foods” and also that GMOs “will play a crucial role in feeding the world.” Campbell’s also announced plans recently to eliminate artificial ingredients from its products by 2018. While a mandate on GMO labeling is still in federal and state legislation purgatory, the public’s interest in the issue is clear: 92% of consumers are in favor of a clear labeling system. Campbell's Soup Company, which also serves as the parent company for brands such as Pepperidge Farms, Swanson, Prego, and V8, just announced that they will now begin disclosing�genetically modified ingredients on all of their product labels. The first major food company to support mandatory GMO labeling, Campbell's is also planning on withdrawing from coalitions of food and chemical companies that are against this labeling, so the folks at Monsanto probably won't be sharing a bowl of chicken noodle soup at Campbell's headquarters anytime soon. While we applaud Campbell's for taking this step toward transparency for consumers, we have�an even better idea for the canned food giant: stop using any GMO ingredients, and you won't need those special labels to begin with! Campbell's apparently believes that GMOs are completely safe, contending that, "the science indicates that foods derived from crops grown using genetically modified seeds are not nutritionally different from other foods" and also that GMOs "will play a crucial role in feeding the world." Campbell's also announced plans recently to eliminate artificial ingredients from its products by 2018. While a mandate on GMO labeling is still in federal and state legislation purgatory, the public's interest in the issue is clear: 92% of consumers are in favor of a clear labeling system.